Global Careers Jobs and Events is the largest online recruitment events and job board of its kind. We focus on career opportunities for International Organisations (IOs), the International Public Sector (IPS) and Non-Profit Organisations (NGOs). How can candidates benefit from the Fair? 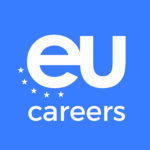 As an attendee, you can connect directly with recruiters online from top organisations around the world, and explore an array of open career opportunities. By connecting directly with recruiters, you will have the opportunity to share your career credentials, including your experience, knowledge and qualifications to make yourself known to recruiters. With no cost to you and the ability to access the fair from wherever you are, the Global Careers Fair is an easy and effective way to boost your international career. The Global Careers Fair is run by highly experienced professionals specialised in international recruitment backed up by the latest technological innovations. We’re always happy to help and answer any questions you may have. 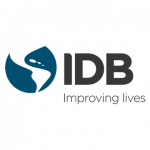 The IDB work to improve lives in Latin America and the Caribbean. By providing support for countries working to reduce poverty and inequality, the IDB help improve health and education, and advance infrastructure. UNFPA aims to expand the possibilities for women and young people to lead healthy and reproductive lives. It’s mission: to ensure that every pregnancy is wanted, every childbirth is safe and every young person’s potential is fulfilled. EPSO is responsible for selecting staff to work for the Institutions and Agencies of the European Union. The IOM is an inter-governmental organisation committed to the principle that humane and orderly migration benefits both migrants and society. The World Bank is a vital source of financial and technical assistance to developing countries around the world. 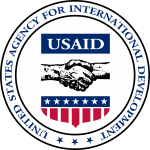 They provide low-interest loans, zero to low-interest credits, and grants to developing countries. 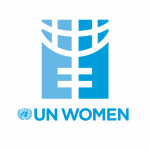 UN Women works for the elimination of discrimination against women and girls; empowerment of women; and the achievement of equality between women and men. The aim of the African Development Bank Group is to achieve sustainable economic development and social progress in its regional member countries, therefore contributing to poverty reduction. UNDP works in more than 170 countries, helping to achieve the eradication of poverty, and the reduction of inequalities and exclusion. 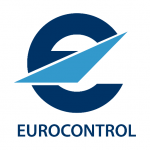 The European Organisation for the Safety of Air Navigation is an intergovernmental Organisation. With 41 Member States, they are committed to building a Single European Sky that will deliver the air traffic management performance in demand for the twenty-first century. The ICRC is the largest humanitarian network in the world. 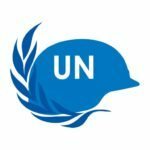 Its mission is to protect life and health, alleviate human suffering and uphold human dignity especially during armed conflicts and other emergencies. The WTO is the only global investment organisation dealing with the rules of trade between nations. Their goal is to help producers of goods and service, exporters, and importers conduct their business. The IFC is a member of the World Bank Group, and is the largest global development institution focused exclusively on the private sector in developing countries. UNOPS supports the successful implementation of its partners’ peace building, humanitarian and development projects around the world. Save the Children works in 120 countries. 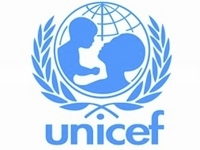 They run world-class programmes to save children’s lives and challenge world leaders to keep to their promises in order to give children a brighter future. Founded in 1950, UNHCR is mandated to lead and co-ordinate international action to protect refugees and resolve refugee problems worldwide. Working in 190 countries, UNICEF ensures more of the world’s children are fed, vaccinated, education and protected. The ECB maintain the euro’s purchasing power and price stability within the 19 European Union countries that have introduced the euro since 1999. IFAD focuses exclusively on rural poverty reduction, working with poor rural populations in developing countries to eliminate poverty, hunger and malnutrition. The IMF is an organisation of 188 countries, working to foster global monetary cooperation, secure financial stability, facilitate international trade, promote high employment and sustainable economic growth, and reduce poverty around the world. 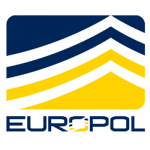 Europol is the European Union’s law enforcement agency whose main goal is to help achieve asafer Europe for the benefit of all EU citizens. We do this by assisting the European Union’s Member States in their fight against serious international crime and terrorism. The Norwegian Refugee Council is an independent humanitarian organisation helping people forced to flee. Whatever it takes. Wherever, and whenever, they’re needed. NRC deliver high-quality aid where needs are greatest. They started their relief efforts after World War Two, humanitarian needs were critical. They they’re still there, protecting people forced to flee and supporting them as they build a new future. Today, they work in both new and protracted crises across 30 countries, where they provide food assistance, clean water, shelter, legal aid, and education. The EIB is the European Union’s bank. We are the only bank owned by and representing the interests of the European Union Member States. We work closely with other EU institutions to implement EU policy. We are the world’s largest multilateral borrower and lender. We provide finance and expertise for sustainable investment projects that contribute to EU policy objectives. More than 90% of our activity is in Europe. But we also are a big investor around the world. The OSCE works for stability, peace and democracy for more than a billion people, through political dialogue about shared values and through practical work that contributes to sustainable progress. The OSCE’s comprehensive concept of security covers the politico-military; the economic and environmental; and the human dimensions. The World Intellectual Property Organization (WIPO) is the global forum for intellectual property policy, services, information and cooperation. NATO promotes democratic values and enables members to consult and cooperate on defence and security-related issues to solve problems, build trust and, in the long run, prevent conflict.